Formula 1 (F1) auto-racing is one of the most watched sporting events on Earth. In 2018, over 490 million people tuned their televisions to watch. Auto racing’s history is deeply intertwined with tobacco company sponsorship. Tobacco branding often invokes sporting imagery to draw a connection between athletic achievement and a particular brand. The influence of tobacco sponsorship in F1 used to be ubiquitous. For example, 9 of the top 10 drivers in the 1995 F1 season drove cars emblazoned with cigarette brand logos. In 2001, F1 organizers said that by 2006 all cigarette brand logos would be removed from cars. Every team but one, Scuderia Ferrari, the Italian sportscar manufacturer’s racing team, dropped tobacco company sponsorship altogether by the 2006 season. The team initially switched to using a Marlboro barcode logo that evoked the brands chevron even viewed at 300 kph. But accusations that the barcode constituted a kind of ‘subliminal advertising’ led to the team deciding to remove it in 2010. Prior to 2011, the sponsorship was so consequential that the racing team was officially called “Scuderia Ferrari Marlboro” but that was shortened that season to the current “Scuderia Ferrari.” This left Philip Morris without any logo on the F1 cars it sponsored and without its brand name marking the team itself. Yet, Scuderia Ferrari continues to receive tens of millions of dollars from Philip Morris, prompting one to ask, why is Philip Morris in this relationship? Philip Morris extended their sponsorship agreement at a cost of $160 million in 2015, and still had no logo on the Ferrari race car. 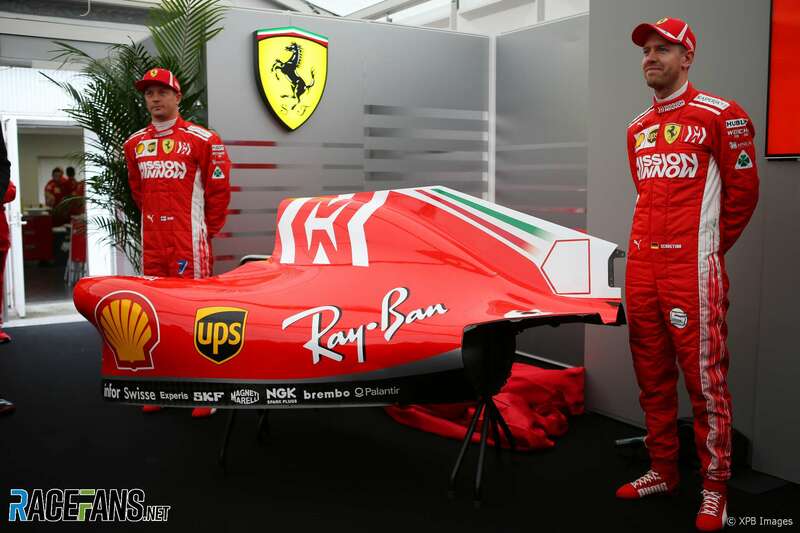 Then in October 2018, Scuderia Ferrari, revealed a new look for its F1 car and driver’s fire suits that contained a curious large logo spelling the previously unheard of words “Mission Winnow” and a large arrow-like symbol. The sponsor of “Mission Winnow” turned out to be Philip Morris International, a fact only revealed once an internet search is performed. The “Mission Winnow” logo painted on the rear wing of the race car forms 6 white chevron shapes with white lettering and several more in negative space. The chevron is, of course, the iconography that PMI has worked for years to link to its flagship cigarette brand Marlboro. The presence of the Mission Winnow logo at races in countries with partial or full bans on tobacco sponsorship in sport is now triggering official investigations, with Australia leading the way in anticipation of the Australian Grand Prix, which will open the 2019 F1 season and take place on March 17th. As a side note, Ducati Corse, the racing team associated with the Italian motorcycle manufacturer is also sporting Mission Winnow sponsorship in the 2019 season. So what is Mission Winnow? Short answer: it is ostensibly claimed to be a corporate social responsibility (CSR) exercise. CSR is a vague concept, but largely it encompasses activities that are meant to improve the public standing of a corporation by portraying it as a responsible member of society. CSR normally is performed in the self-interest of a corporation. Whether it is a distinct activity from marketing is not always clear. Breaking down the meaning of those sentences is tricky, but it mostly conveys a technology-forward message that favors positive change, a broader message that few would challenge. 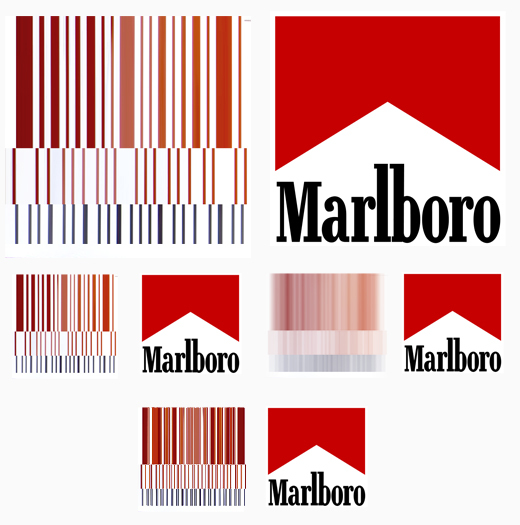 Further, the company states plainly that it thinks the Project Winnow campaign is in compliance with laws prohibiting tobacco advertising stating, “[t]he campaign does not advertise or promote any PMI-branded products.” If we are reading between the lines, this may be a signal that PMI will claim Mission Winnow is CSR when pressed. Is Mission Winnow Just CSR? No, it incorporates the promotion of a new line of PMI products (IQOS and HEETS by Marlboro) by utilizing recognizable PMI brand elements in front of an audience of hundreds of millions of viewers. On the Formula 1 website, PMI is a bit clearer about Mission Winnow’s supposed objectives. They say that Mission Winnow is about replacing cigarette sales with smoke-free products and “showcasing” that transition. Their only in-context use of the word “winnow” on the site is that they engage in the “passionate pursuit of excellent by winnowing good from bad, truth from fiction…”. If we are to generously parse this language it might mean that PMI wants to replace its most harmful products with products that it claims to be less harmful. This phrasing begs the question: why is PMI putting down their main products while featuring their most famous brand element outside of the Marlboro cowboy? The Mission Winnow campaign appears to be a kind of advertising product from its expensive sponsorship deal with Scuderia Ferrari. Further, the words “Mission Winnow” are confusing. They do not evoke triumphant images of technological progress or societal change. 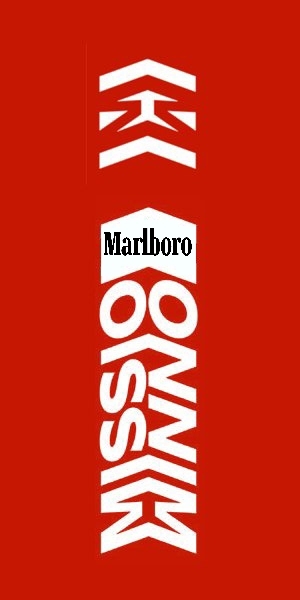 The logo incorporating the words Mission Winnow laid out on top of one another, where “Mission” has a backward lean and Winnow has a forward lean somehow seems chosen to contain as many Marlboro Chevron shapes as possible. Thus, with an opaque message for most, and for a world already highly exposed to their logo, Mission Winnow appears to be mostly about selling Marlboro cigarettes. This general notion has cropped up widely. Finally, it is unlikely that PMI shareholders and board members would stand for spending millions of dollars on auto-racing sponsorships if there were not clear and significant projected returns on the investment. PMI is the only tobacco company remaining as a sponsor of an F1 team. From the barcode to Mission Winnow, if there was no business opportunity for placing such branding in front of hundreds of millions of racing fans around the world, then why make the investment? In 2019, F1 will run 22 Grand Prix races, each in a different country, and on every continent except Africa. Using the tobacco control policy data from the WHO FCTC party reports from 2018 or the latest available (and data drawn from Canada’s Tobacco and Vaping Products Act), we examine which races might pose legal hurdles for Scuderia Ferrari’s ability to display the Mission Winnow logo whether the effort counts as tobacco product sponsorship (our view) or as a CSR exercise (possibly PMI’s view). Five races take place in countries with bans on both tobacco sponsorship activities and CSR exercises. Eight races take place in countries with bans on tobacco sponsorship activities, including the season-opening Australian Grand Prix, for which Ferrari F1 has already announced that they will not use the Mission Winnow branding. Two races take place in countries with bans on tobacco CSR exercises. Just six countries do not have bans on either form of marketing. Because Japan is one of the few safe places to race with tobacco sponsorship on the calendar, the decision to debut Mission Winnow at the 2018 Japan Grand Prix makes some strategic sense. But, the legality of using the Mission Winnow logo at the 2018 Brazil and Abu Dhabi races already seems questionable. It will be telling to watch whether PMI withdraws the use of their logo from use in particular races to communicate what they believe Mission Winnow is; CSR or promotion. However, because they missed their chance to withdraw use of the logo from either Brazil or Abu Dhabi, that may signal PMI will argue that it somehow constitutes neither. Further research will need to be done to substantiate our concerns, but the bottom line is this: Mission Winnow is on questionable legal ground in almost every race this coming season. Auto racing is expensive. Scuderia Ferrari should drop tobacco company sponsorship to stay on solid legal and ethical footing. After all, among the legions of auto racing fans around the world are tens of millions of children and youth. 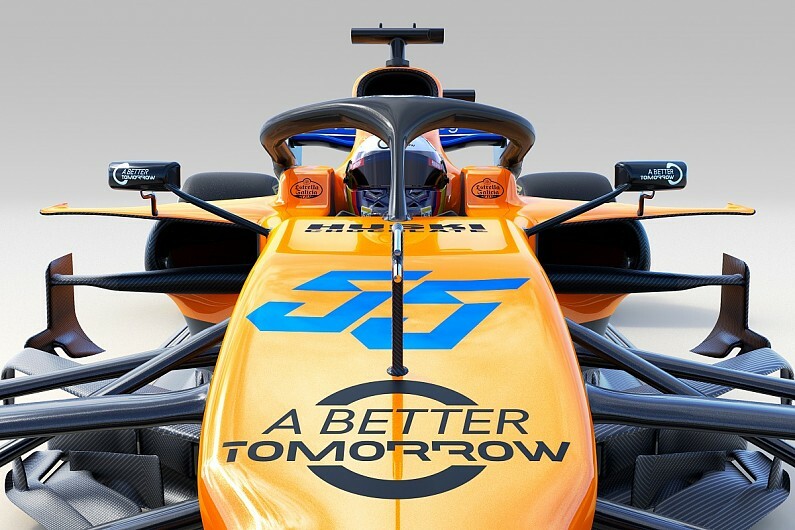 It came to light in February 2019 that a second top-tier F1 team, McLaren, has announced a sponsorship agreement with a tobacco company, this time British American Tobacco. They are featuring a similar campaign to “Mission Winnow” that they call “A Better Tomorrow”. It raises most of the same suspicions and issues that PMI’s campaign raises. PS: This article in Tobacco Control titled, “ Motor racing, tobacco company sponsorship, barcodes and alibi marketing” by Bruce Grant-Braham and John Britton is an open-access deep dive into the history of auto racing sponsorship strategies by tobacco companies and is well worth a read.